Don’t your head on the Iron Sky! Iron Sky is a European film about Nazis invading earth from the Moon. I could tell you who it is made by and who it stars, but that would be a waste of everyone’s time, but it does have a creepy German (Udo Kier) guy you may recognize. The premise is that there are a group of Germans on the Moon waiting for the right time and technology to invade earth and finally win WWII. 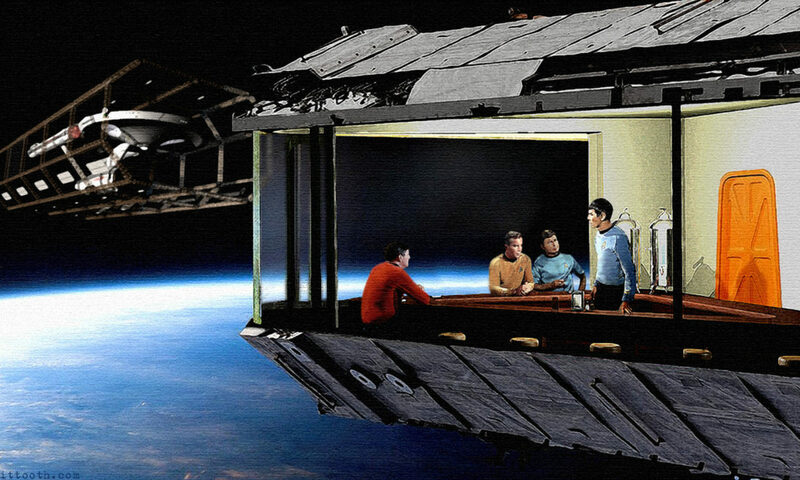 They get the technology from an unwitting American astronaut. That is pretty much it, and if that sounded good to you then it is a lot of fun. If not I am guessing you haven’t read this far anyway. I could go on about directing and if the actors are good, and they all do a pretty good job, but this is really just a camp Action Sci-Fi movie to have a few laughs and be amazed by the absurdity of it all. If you are looking for the film equivalent of empty sugary calories then this is the movie for you. Until next time, and watch the skies for Nazis! And Now Somthing About You! Since it has been 30 days since I started this blog I thought I would give you some of the stats about its usage. Over the last 30 days 125 unique users (or computers if you like) have visited my site, and they have visited 442 times. They have viewed 798 pages of content, and stayed on my site for an average of 2 minutes and 45 seconds. The posts with the highest views besides the main page are: Good Day to Die Hard, Le Miserables, and The Diaspora Trilogy. The least viewed posts are: The Pirates! Band of Misfits, Treasure Planet, and Spreading Dredd. So it appears you like current movies and books vs. older movies and lesser known comic book heroes, who knew. Most of you use Comcast accounting for 185 of the visits, 55.9% of you use Windows, and 23% of you use your iPhone. 3% of you use Linux. Internet Explorer is the browser used the most, and Opera is used the least. It has been fun running this site, and I hope you are enjoying reading it because I am having fun writing it. And if it freaks you out about what I know about your site viewing habits blame Google. Skyfall is the 23rd James Bond film in 50 years, and the third staring Daniel Craig, and somehow they still made a good and engaging film. They got to take their time with this film and it showed. The premise is that MI6 is under attack by a cyber-terrorist (Javier Bardem), and James Bond has to stop him before he uncovers, and releases, all MI6’s secrets. This movie also asks the question to whether Bond is necessary in these modern time when we can just snoop on people over the internet. Sam Mendes takes Bond back to his roots while modernizing the franchise. He only gives bond a couple of tech toys to play with, but it really forces the movie to be on whether Bond is up to the challenge or not, not whether he has the right tools for the job, and he shows the effect of the technology on the spy game, with the tracking and hacking, and all the information we have at our fingers now. He also knows what is important: he makes sure the action and fight sequences hard hitting and exciting. The actors all do their jobs well too. 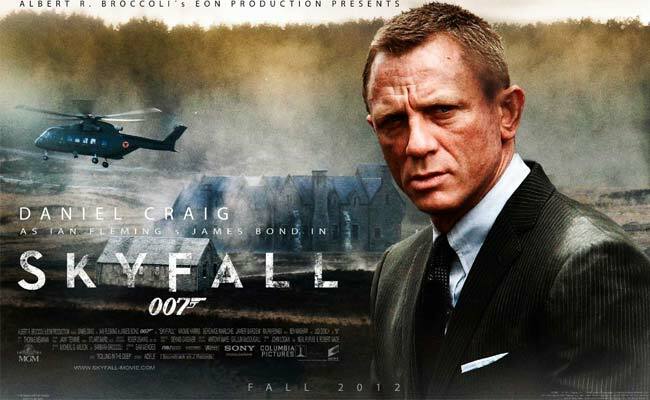 Daniel Craig has become Bond, and he is starting rival Sean Connery with his identifiability with the character. Javier Bardem knows how to play a bad guy, and his ability to make you hate him is great, and Dame Judi Dench is wonderful in this movie as the keeper of the old guard at MI6. A person who always puts the job first no matter what the sacrifice, and showing the wear and tear that has on a person. It obvious why it this was the most successful Bond of all time. It hits all the right notes and it has a story that is relevant to our time. Sam Mendes is in talks to do the next Bond movie as well, here is hoping! Watch out for The Pirates! The Pirates! Band of Misfits (yes the exclamation point is part of the title) is a stop motion animation feature length film from Aardman Animations. Aardman is known for their charming British humor, and they continue the trend with this film. 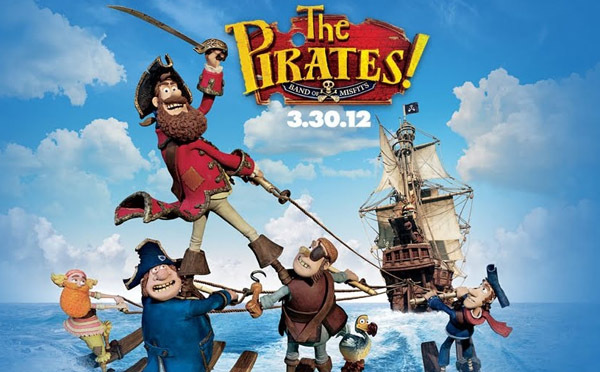 The movie starts as The Captain (Hugh Grant) tries and fails to be Pirate of the Year, but as luck would have it while plundering they capture Charles Darwin who informs The Captain that his parrot is in fact a dodo and that they could use it to win the Scientist of the Year award. So they venture to pirate hating England to try and win the booty. This movie isn’t especially deep it is mainly an exscuse to be silly, and silly it is. It also does its best to charm you with its British wit. I am a sucker for British wit, so I liked this movie quite a bit. It is not a classic like Wallace and Gromit, but they do a good job, and with the short 88 minute run time there is no time to get bored. I love stop motion animation, and Aardman is one of the last few companies still keeping this style going. I hope they continue to make these movies so I can continue to go to them. When I was a kid it was one of my favorite “When I grow up” job choices, so any movie with stop motion gets bonus points. 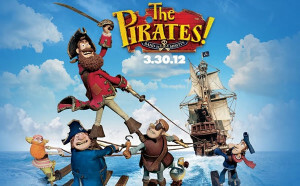 This movie is a good silly time waster, being stop motion and British kind of makes me like it just because it exists. But despite all that I think you should watch it too, because we all need somthing fun and light hearted once and a while. Brave is Pixar Animation Studio’s 13th full length movie, its first to feature a girl in the lead, and its first “Princess movie”. Does this movie live up to the standards of previous Pixar movies? Almost, but not quite. 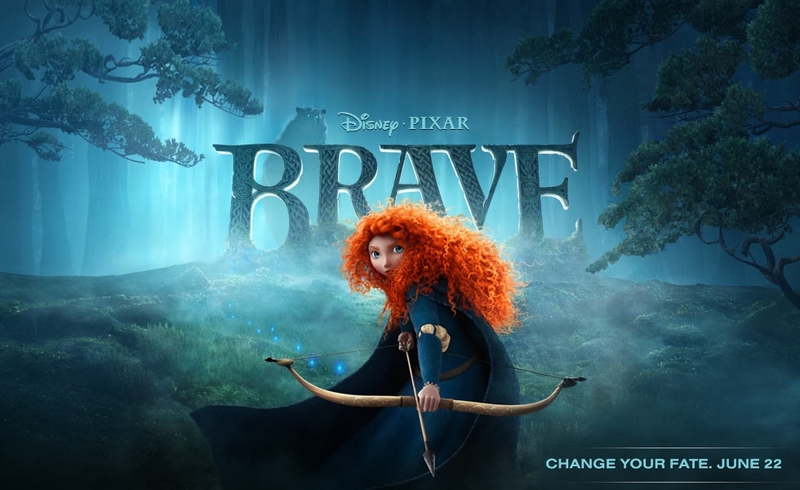 Brave is about a young Scottish Princess, Merida, who is about to be betrothed to the winner of a skills competition, and she does not find any of the men to her liking, so she wins the competition herself, and runs away to try and change her fate. Merida is a good character and I liked Pixar’s design of her, and I like the way they made her a free spirit, and not wanting her greatest asset to be that she is marriageable like some of the other Disney Princesses, but sadly the writing of the movie just wasn’t quit up to the usual Pixar standard. The story doesn’t resonate like WALL-E, UP, or Toy Story 3, all of which are classics that make you laugh and cry regardless of your age. Brave is just merely good, which for other animation houses is probably fine, but for Pixar is kind of a shame and a letdown. The movie does look great and advances the things they can do with computer animation, and I am sure they are going to continue push the limits of their field. I just hope they get back to doing what made their movies classics in the first place. I used to get very excided for Pixar movies, and I hope they get back to their winning ways, but with their current focus on sequels, I am not sure that is going to happen. 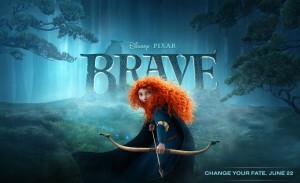 I had high hopes for Brave, and it just didn’t live up to expectations.